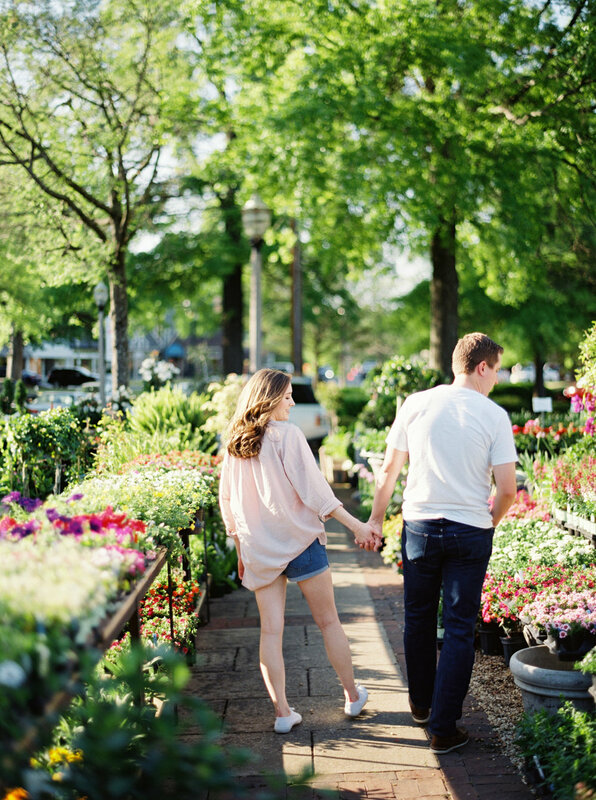 This authentic lifestyle anniversary session took place in Cory and Rose Marie’s first home together in Mountain Brook Village (with the inclusion of a quick stop by Leaf and Petal and Mountain Brook Creamery). It was intimate and cozy. You can find them sitting on the steps of their first home, taking walks around their neighborhood, washing dishes together, cooking meals together, doing everyday life together as a couple… and it’s sweet and so beautiful.